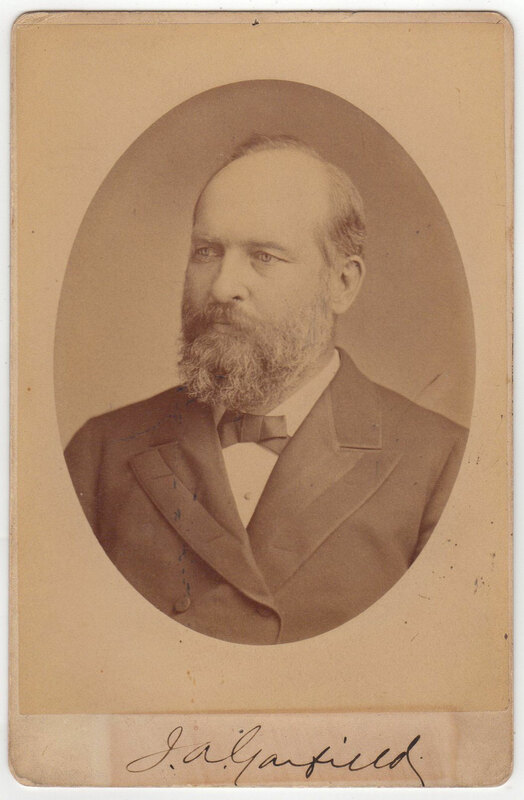 Rare signed cabinet photograph “James A. Garfield”. 4.25 x 6.5 inch, n.p., n.d. Photo by “W. J. Baker’s Photo-Studio, Buffalo, N.Y.” as printed on verso. Signed in dark black ink. Slightly discolored, two minor pin holes, minor corner mounting residue on verso, else good condition. Garfield is rare in signed photos and this one is probably one of the finest you can hope to find.